Exercise-related injuries are real. That is why as a fitness coach, I take injury prevention seriously. I had my fair share of exercise-related injuries as a novice exerciser. Looking back now, I wish I had someone to tell what to do to prevent those injuries. In this article, I share four simple ways to avoid exercise injuries. You cannot wear the same shoes for every type of exercise you do. For example, running shoes are not designed for dance aerobics classes. The reason being that running shoes are not designed for multidimensional movements. They are designed for linear movements. Aerobics class, on the other hand, involves multidimensional movements. The shoes designed for an aerobics class are called cross-trainers. These shoes provide support for the exerciser as the person moves in multiple planes of motion. Nike Free 5.0. My favourite cross training shoes. I have these shoes in 3 different colours. 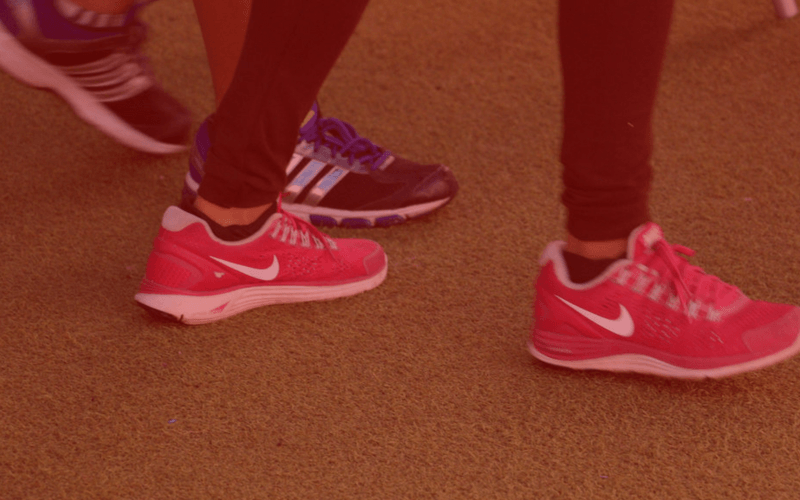 Wearing the right shoes for the right exercise is necessary for exercise injury prevention. When your knees begin to hurt every time you exercise, it is your body way of telling you that you need to go easy with high-impact exercises. High-impact exercises like running, jumping and dancing, can put a lot of stress on the knee joint. It is a good fitness practice to mix your exercise routine with low-impact exercises. A low-impact exercise does not necessarily mean a low-intensity exercise. An exercise can be low-impact and still provide moderate-to-vigorous intensity. Intensity refers to the effect of exercise of the cardio-respiratory system while impact relates to the effect of exercise on the joints. Intensity is a matter of the heart, and it can be achieved with a low-impact exercise. In this article, I will share the five best low-impact exercises you should add to your exercise routine, especially if you have started feeling pains in your knees.